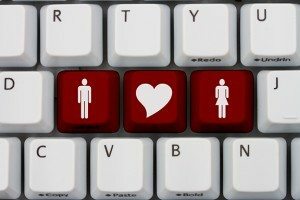 In a recent poll, almost 1 in 5 US adults indicated they have used online dating sites or dating apps and over 60% believe it’s a good way to meet people. But one lingering concern about online dating relates to safety and there’s an increasing demand for background checks when online dating. The issue is that with online dating, you often lose some of the context you would have had for meeting someone (through a mutual friend, through work, etc.). Consequently, some of the safety nets you would have in place to learn more about a person before getting into a relationship no longer exist. Even if you think you know someone pretty well, chances are you’ll learn something from an online background check. If someone recently moved from out of state, how can you really know what kind of past they left behind? Or how can you know if they’ve truly left it behind – marriage records might reveal they’re still attached. Phone numbers that are associated with them might help you figure out where else (and who else) they might be spending their time with. It’s not about a lack of trust – it’s about protecting yourself from emotional or even physical harm. A good partner would most likely be willing to talk through anything out of the ordinary that a background check reveals. And if you don’t find out anything of concern, all the better; $10 is a small price to pay for peace of mind. And if you literally can’t find a person with a background check? Well, for people who have just turned 18 or just moved to the US, there’s probably no cause for concern. For women, using a married name (that’s been kept) instead of a maiden name can sometimes cause issues. For everyone else, well, that might cause for a whole different conversation! 1. How do I find out if someone is married? 2. Can I Check Divorce Records Online? This entry was posted in Marriage & Divorce and tagged Background Checks, Checks When Online Dating, online dating. Bookmark the permalink.